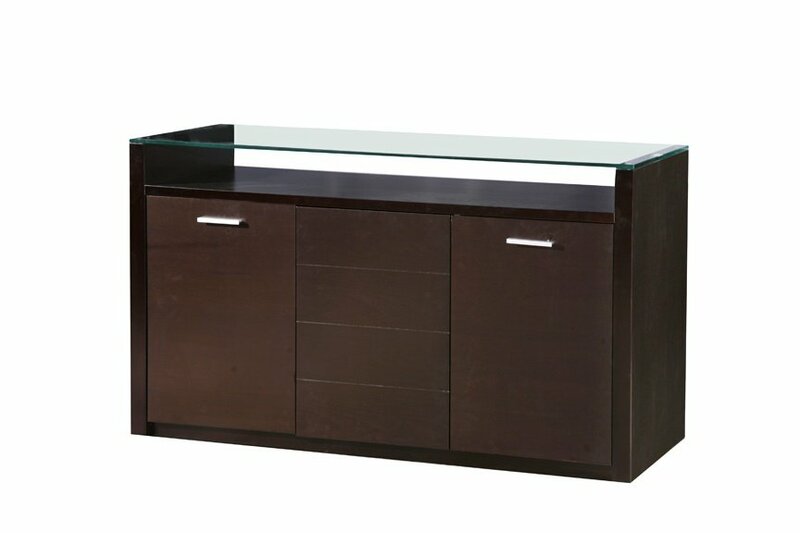 Transform your Living Room with this elegant and simple Dark Walnut Glass-topped Sideboard. With three doors hiding ample storage inside and wide surface top, this Sideboard offers style and simplicity. The Dark Walnut colour gives a feeling of dignity and style, the small rectangular door handles emphasise the minimalist style and the Glass Top has a classic feeling. Also available without a Glass Top if you prefer to keep a more simplified style.